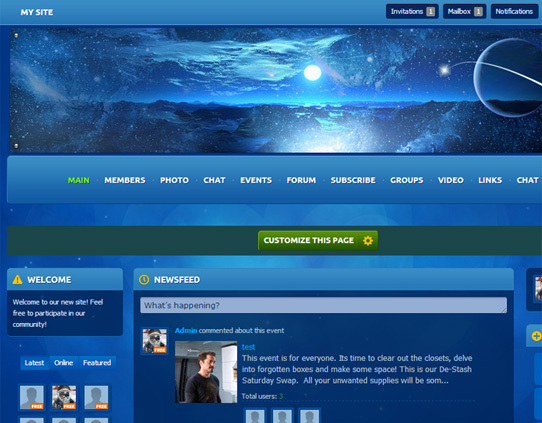 This line of themes can be applied to a variety of niches, representing a particular mood of a given online community. All five templates are already available through Oxwall Store; enjoy them and let us know what you think in the comments bellow. In the meantime, we are happy to tell you that more regular updates for our collection are planned, and we are already hard at work creating new themes for future releases. 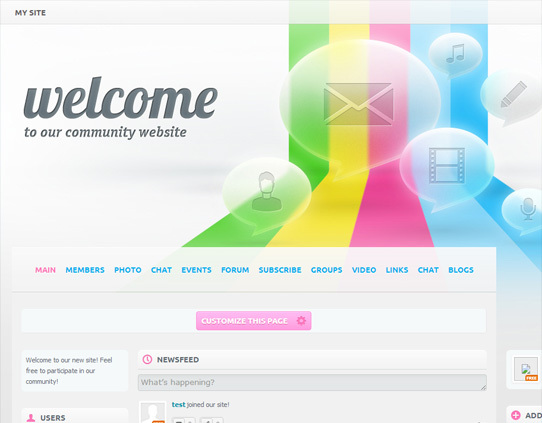 This entry was posted in Misc, Store, Themes and tagged 1.5, design, Oxwall Store, themes by Zima. Bookmark the permalink. Very interesting themes! Thank you! I like it! Let your project successfully developing and growing! Hey, how comes my users cannot view mailbox notifications at the top most navigation bar where we have ‘notifications’. They can still see other notifications like friend requests and virtual gift notifications…but the mailbox is not visible on that bar. Whatsup with that? 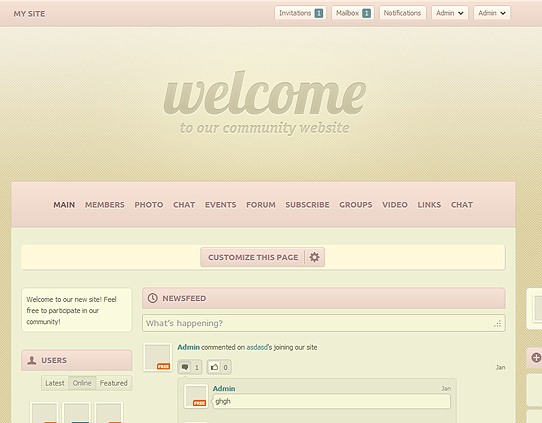 You can do this by going to the Admin Panel/Appearance/Edit Theme. 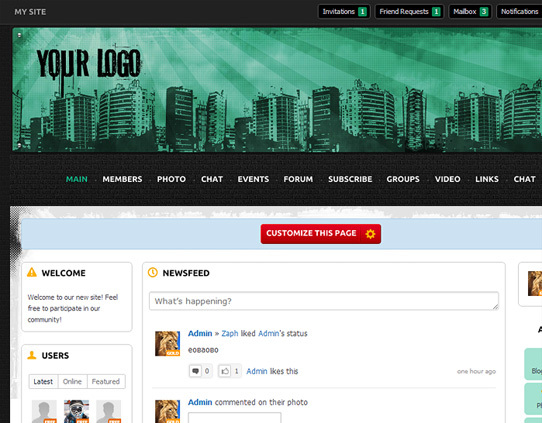 Each theme has a number of options and images you can change right within the Admin area, including the logo. REVOLUTİON theme is really awesome but there is a little appearance problem, how to say, texts seem a little bit blurry in left side, can you make anything to fix it ?.. Q: Is there a simple way to write, cc and send messages like in FB versus what we have now? to click on a person profile to be able to send a message? 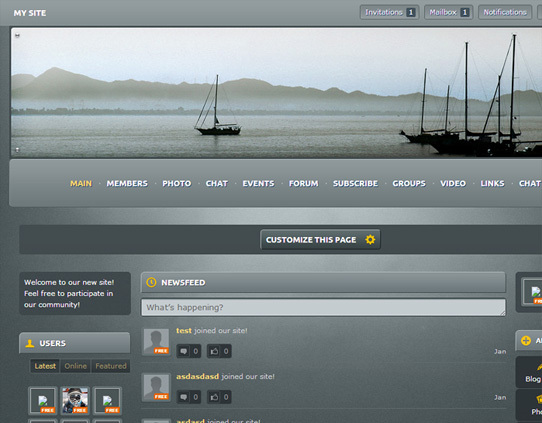 this an idea that would help improve the site. You can use Instant Chat that comes with the default install of the software.